Global Conceptualism examines key moments when artists in various locales around the world began to create conceptual art as a means to question the hegemony of the object over ideas in art, critique the way art is institutionalized both in museums and in modern economies, and find a new role for art and the artist in society by involving art in social and political protest. Containing over 240 works by more than 135 artists, Global Conceptualism features photographs, documentation, films, videos, postcards, posters, drawings, as well as paintings, mixed media objects, and installations. The Exhibition is marked by the regional perspectives and careful discrimination of its team of eleven international curators. The exhibition is organized in two chronological sections (1950s through approximately 1973 and 1973 through the ’80s) and then arranged by geographical region (Japan, Western Europe, Eastern Europe, Latin America, North America, Australia and New Zealand, Soviet Union, Africa, South Korea, and Mainland China, Taiwan, and Hong Kong) with the pace and progress of local historical events respected, when addressing ideas generated by the art. Headed by project leaders Jane Farver, QMA’s Director of Exhibitions, Luis Camnitzer, artist and professor at SUNY Old Westbury, and Rachel Weiss, curator and professor at the School of the Art Institute of Chicago, exhibition planning has been made in concert with a team of eleven international curators. A 280-page exhibition catalogue includes essays by cultural historian Stephen Bann, art critic Apinan Poshynanda and regional curators:Chiba Shigeo and Reiko Tomii (Japan), Claude Gintz (Western Europe), László Beke (Eastern Europe), Mari Carmen Ramírez (Latin America), Peter Wollen (North America), Terry Smith (Australia and New Zealand), Okwui Enwezor (Africa), Margarita Tupitsyn (Russia), Sung Wan-kyung (South Korea), and Gao Minglu (Mainland China, Taiwan, and Hong Kong). Global Conceptualism provides snapshots of key moments of conceptualist practice over the course of several generations. The exhibition as a whole offers glimpses, through conceptualist art pieces created in conjunction with them of watershed events of social and political protest-Budapest (1956), Paris and Prague (1968), the June resistance in Seoul (1987), the events of Tiananmen Square (1989), and the chaos leading up to the first elections in South Africa (1994). During these and other events conceptual artists brought art and life closer together: Global Conceptualism shows artists cleaning the streets (Hi Red Center, Japan), staging an impromptu exhibition in a courtroom (Akasegawa Genpei, Japan), reporting on life from a phone booth (Nomura Hitoshi, Japan), declaring Bratislava and all its inhabitants a work of art (Happsoc, Slovenia), placing money boxes to collect funds for political martyrs on the streets of Budapest (Miklós Erdély, Hungary), wandering Europe’s parks carrying art on a stick (André Cadere), asking street directions from strangers (Stanley Brouwn, Netherlands), opening an empty gallery space to the public (Yves Klein, France), placing fictional news reports in newspapers (Eduardo Costa, Argentina), writing chalk circles around people on public sidewalks and declaring them works of art (Alberto Greco, Argentina), joining every political party in South Africa at once (Kendell Geers), creating detailed blueprints to organize mass demonstrations and funeral marches (Choi Byung-soo, South Korea), and even firing two gunshots at an exhibition in Beijing (Xiao Lu and Tang Song). The fascinating work of artist collectives is a secondary theme of Global Conceptualism: BikyÇtÇ (Japan), Grup de Treball (Spain), Happsoc (Hungary), Gorgona Group (Yugoslavia), Rosario Group/Tucumán Arde collective (Argentina), Trans Art (Australia), Collective Actions Group (Russia), Laboratoire Agit-Art (Dakar), Min Joong collectives, Labor Newsreel group, Space Time Group and Reality & Utterance (all South Korea), and Xiamen Dada group (Mainland China) are all represented. Finally, conceptualist art often focuses on art itself, and Global Conceptualism finds itself revisiting several famous exhibitions, often protests, or catalysts to protest, among them the Tone Prize Exhibition (Japan, 1964), Seth Siegelaub’s Xeroxbook show (New York, 1968), the Salon de Mai (Paris, 1968), and Art in China/Avant-Garde (Beijing, 1989). Each section of Global Conceptualism is organized with an attention to the impact of local contexts in creating particular variations of conceptualism. Works presented from Japan are related by section curators Reiko Tomii and Chiba Shigeo to social unrest arising from the renewal of the U.S.- Japan Security Treaty (Anpo) and the student protest movement of the 1960s, which precipitated an institutional critique of art as well. They focus on the institutional critique in particular in order to gain a new perspective on artists long accepted into the canon of gainen geijutsu (“concept art”) – such as Matsuzawa Yutaka, who sought to “vanish the object,” Nomura Hitoshi, who recorded random events viewed from a phone booth–and take a fresh look at others overlooked or excluded from the canon, including Yoko Ono and her participatory word paintings, Yasunao Tone, who organized the Tone Prize Exhibition, Akasegawa Genpei, jailed for forging 1,000 yen notes, and the happenings of Bikyoto ( including Hikosaka Naoyoshi and Hori Kosai). In his catalog essay Western European section curator Claude Gintz explores the origins of European conceptualist art in the particular strategies of Situationism in France in the 1950s, focusing on an imageless Lettrist film by Guy Debord, Yves Klein’s opening at an empty gallery, and Daniel Buren papering Paris with striped panels, as well as Stanley Brouwn’s street pieces and Marcel Broodthaers’ anti-museum objects. Also noted are other artistic landmarks of European conceptualism ranging from Jan Dibbets’s photographs, to Mario Merz’s neon word installations, Alighiero e Boetti’s book classifying the rivers of the world, Hanne Darboven’s file books and films marking time, Art & Language’s conceptual works, Victor Burgin’s theories, and Catalonian Grup de Treball’s collaged criticisms of the Franco regime. In Eastern Europe, contends section curator László Beke, the Marxist-Leninist theory of socialist realism remained predominant and all avant-garde tendencies were classified as “alien to socialist ideology.” As a strategy for evading authority, conceptual art in Eastern Europe also evolved into something more flexible and elastic, ironic, humorous, nonprofessional and social than in the West. Also, the response of Communist parties differed from state to state, and the degree of control or censorship lead to local characteristics in manifestations of conceptual art. The section touches upon many centers: Slovakia’s Július Koller as well as the collective Happsoc’s happenings, Gyula Pauer and Endre Tót from the “heroic period” of Hungarian conceptualism, Robert Rehfeldt’s East German mail art, and Ana Lupas’s staging a display of a town’s laundry on a hillside in Transylvania, among others. Latin American section curator Mari Carmen Ramírez asserts that the nonhegemonic response of Latin American art to modernism resulted in an inversion of tenets of European modernism, resulting in an early emergence of conceptualism. Latin American conceptualism thus is more ideological (about public space rather than art institutions), has a conflicted relation to the idea of “dematerialization” (involving even the “recovery” of the object in mass-produced form), uses information theory to examine meaning in mass media culture, and always seeks a broad audience. Three social factors created local contexts for conceptualism in Latin America: the failure of expectations created by post-war desarrollismo (developmentalism), the simultaneous emergence of military regimes, and a major shift in the understanding of the role of the avant-garde in the Latin American context. Featured here are examples of Hélio Oiticica’s “new objectivity,” Lygia Clark’s provocative body art, and Artur Barrio’s street actions, from Brazil, the arte de los medios movement which included Eduardo Costa, Roberto Jacoby, and Raúl Escari, the protest art created in connection to the Tucumán Arde collective, Alberto Greco’s street actions, and Lilliana Porter’s object-oriented pieces from Argentina, among others. Conceptual art in America and Canada, argues North American curator Peter Wollen, represented a critical shift in art, dethroning painting and sculpture in art’s hierarchy. 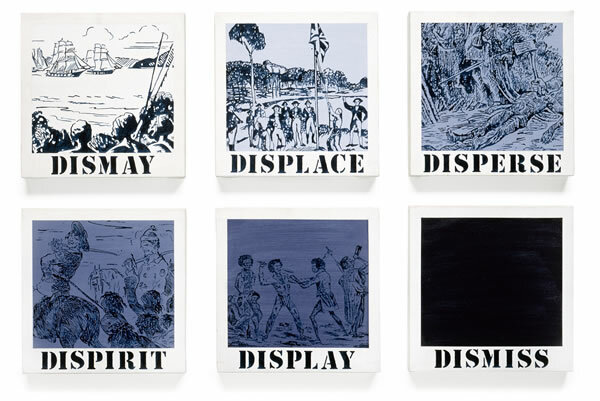 American conceptualism, fueled by protest surrounding America’s involvement in Vietnam, quickly spread beyond the center, to questioning all aspects of establishment life, including a critique of the commodification of art. In New York, the movement coalesced with “phenomenal speed,” starting with Joseph Kosuth’s first statements on conceptualism in 1967, until 1970, by which time critical essays on conceptualism were widespread. Modularity and seriality were its methodologies as it shifted attention from the object to the idea in a work of art. In addition to Kosuth’s statements, Sol LeWitt’s sentences and documentation of Seth Seigelaub’s Xeroxbook show as well as John Baldessari’s cremation of his paintings are presented. Christine Kozlov, Adrian Piper, Mary Kelly, Matha Rosler, Yoko Ono, and Theresa Hak Kyung Cha are also represented. Canadians Joyce Wieland, Michael Snow, Carl Condé and Karl Beveridge, and Vincent Trasov (Mr. Peanut) represent conceptualism north of the U.S. border. Australian and New Zealand conceptualism, argues section curator Terry Smith, took its form from artists from the continent working in New York and London who were striving to define an art practice distinctive for travelers between the peripheries and the centers of cultural power. “Much art of this period came out of a suitcase, or could be made on the spot by people in transit.” Focusing on conceptual art as a project which first created objects which threw perception into doubt, Smith focuses on Ian Burn, Mel Ramsden, Barrie Bates (Billy Apple), Mike Parr, Peter Kennedy, and Gordon Bennett. By the 1960s in the Soviet Union, alternative painting had developed which challenged the hegemonic official social realism style. Early conceptualists went even further, states Russian section curator Margarita Tupitsyn, by denying painting its privileged status and by deconstructing the visual canons and ideological content of the Soviet cultural establishment. Ilya Kabakov showed his distrust of the visual early, in panels filled with writings from communal life, while Komar and Melamid set out to violate the texts of Soviet life by pulverizing a copy of Pravda and by re-presenting official documents of Soviet life. The Collective Actions group, Irina Nakhova’s delirious Room, and Boris Mikhailov’s everyday photography of Soviet city- and landscapes are also presented. African section curator Okwui Enwezor searches for the distinctive quality of African conceptualist art in the African tradition where the art object, never an end in itself, was displaced in a final performance or nonvisual context, where the artwork functioned in a fluid system of relationships with artist and audience. While there never was ‘anything that can be definitively declared a conceptual ‘movement” in Africa, Enwezor nonetheless explores the complex relations between older African philosophical systems and the practice of a select group of contemporary artists. The Laboratoire Agit-Art’s happenings, Frédéric Bruly Bouabré’s investigations into oral history and language, and three artists who used conceptualism to challenge apartheid in South Africa -Willem Boshoff, whose micro-writing reduced meaning to absurdity, and Malcolm Payne, and Kendell GeersCare surveyed. While noting that conceptualist practice did not become defined in South Korea, section curator Sung Wan-kyung nonetheless explores conceptualist tendencies in the work of diverse artists since the 1960s. The performance art of Space Time Group artists Kim Yong-min, in which he simply mopped a floor at an exhibition, and Sung Neung-kyung, who removed print from and displayed the mutilated remains of newspapers, in the 1970s are studied. The Min Joong or People’s Artists movement of the 1980s is the focus of the South Korean section, with works by several Min Joong artists including Kim Yong-tae, who assembled an installation of found photographs from photo salons near US military bases, Park Bul-dong, who created photo-collages of fictional political candidates, Kim Dong-won and his film documentary of the demolition of the Sanggyedong section of Seoul as part of a beautification program leading up the Olympics, as well as his documentaries created with the Labor Newsreel group, and Choi Byung-soo’s detailed blueprints created to organize demonstrations and even funerals during the days of the June Resistance and July-August labor struggle of 1987. Curator Gao Minglu distinguishes between local manifestations of conceptual art in Mainland China, Taiwan, and Hong Kong, each locale having a different trajectory. In Taiwan, the postwar years of official censorship lead to an alienated and individualist emphasis in conceptualism. Huang Huacheng of the Language Beyond Painting Society and his installation of lowly objects, as well as the headless photographs of Chang Chaotang are highlighted. Danny Ning TsunYung’s performance and dance work in the Zuni Icosahedron collective characterizes Hong Kong conceptualism. The ’85 Movement from 1985 to 1989 is the predominant focus of the mainland China section with language-based work by Wenda Gu, Wu Shan Zhuan, and Xu Bing, anti-art work by Xiamen Dada group artists like Huang Yong Ping, who made a painting by gathering dust, and performances around the China/Avant-Garde exhibition in 1989 by Wei Guangqing, who “hanged” himself in pertinent locations, and Xiao Lu and Tang Song, who fired two shots at their installation, often described as the first shots fired in the events of 1989 that lead up to the incident in Tiananmen Square. Global Conceptualism will travel to the Walker Art Center, Minneapolis, MN, December 19, 1999 – March 5, 2000, and the Miami Art Museum, September 26 – November 2, 2000. Further tour details to be announced. Global Conceptualism: Points of Origin, 1950s -1980s is sponsored by AT&T. Major support is provided by the Rockefeller Foundation, Andy Warhol Foundation for the Visual Arts and the Lannan Foundation. Additional funding is from the Peter Norton Family Foundation, South Korea Foundation, Trust for Mutual Understanding, The Japan Foundation, Asian Cultural Council, Institut für Auslandsbeziehungen, Shisheido Co., Ltd. and the British Council. National Endowment for the Arts, New York State Council on the Arts and New York Council for the Humanities, a state program of the National Endowment for the Humanities provided generous support.